This morning, in my usual amble around the vegetable patch, I spotted the sight I had been waiting to see for several weeks, since the first squash flowers started to open …… a male and female flower open at the same time!!! And not only were they open at the same time, they were the same species but on different plants! Yay! Eureka! 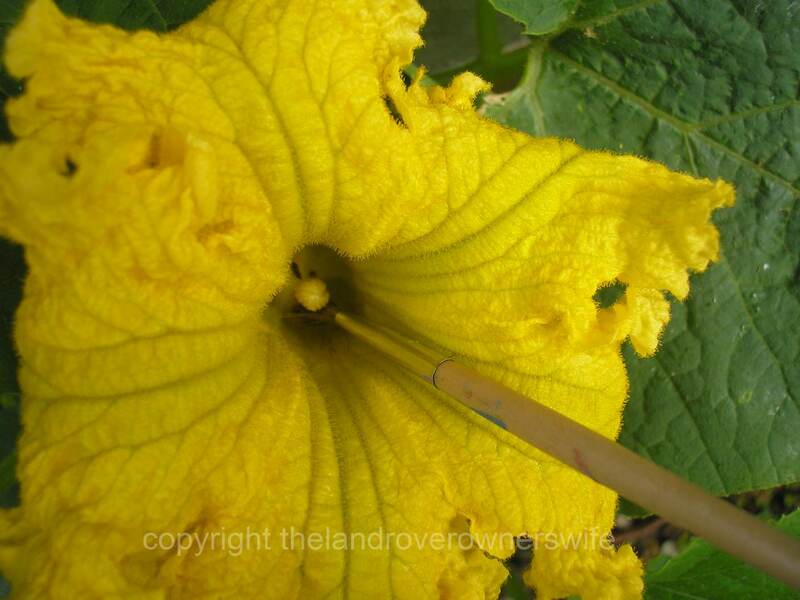 Squash plants tend to throw out masses of flowers from one gender or the other for what seems like forever and I can be found most mornings during early summer, peering under the mass of leaves to try and spot the first signs of flowers from the other gender. Inevitably I start to worry, even though I know from previous years that this is perfectly normal squash behaviour and the other gender will appear eventually and so it is always a huge relief, the first time I see at least one of each open at the same time and if they are the same variety and on different plants, then all to the good. 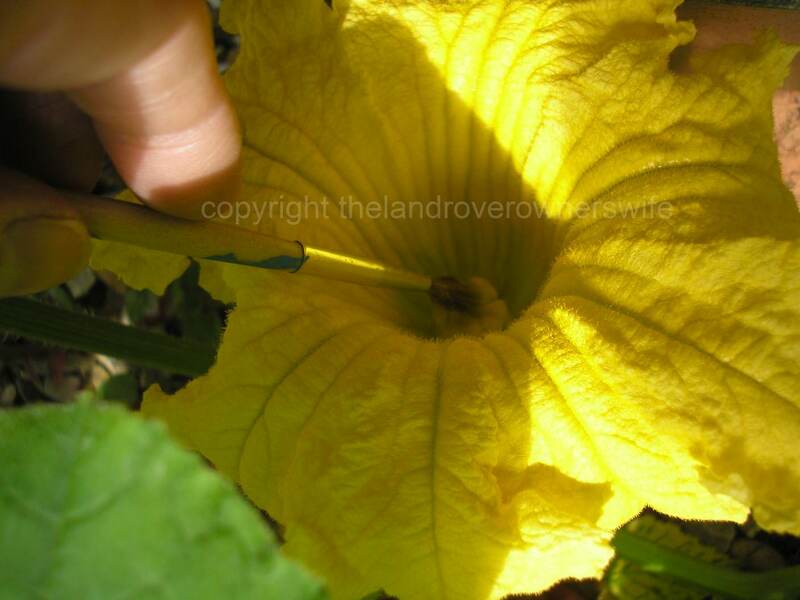 That said, squash flowers are not fussy and the female flowers can be pollinated using pollen from the male of any other squash species but you just won’t produce ‘true’ seeds if you intend to save your own seeds for next year or, for that matter, a ‘true’ to variety fruit if you use the seeds produced from a cross pollinated squash. That’s the risk of growing more than one squash variety on the same plot. 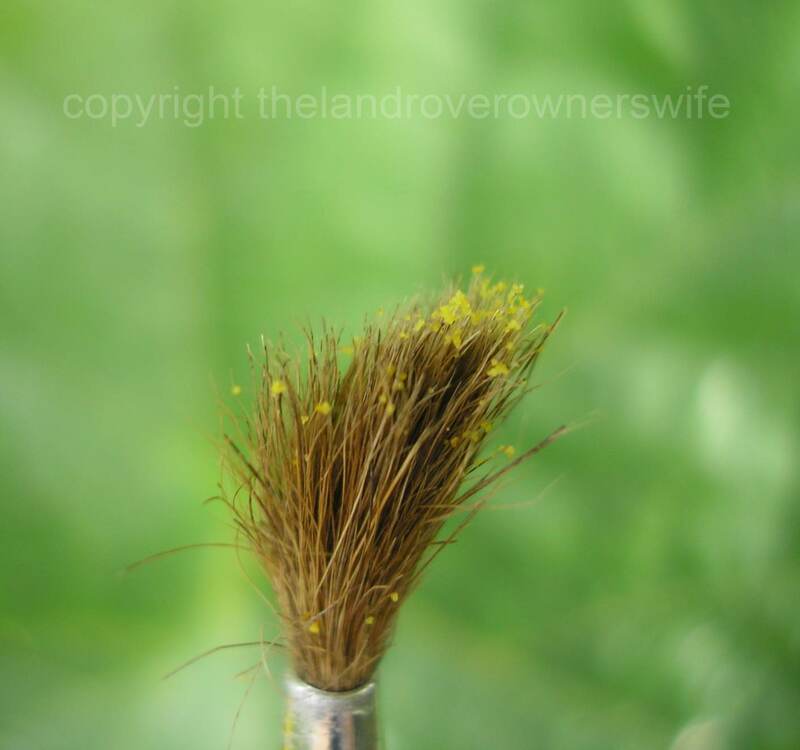 Taking pollen from the male flower using a fine paintbrush …..
Generally speaking, this doesn’t matter for me because up until this year I’ve never seriously tried too self-save any seed. This year, however, I do intend to try and save seed from my Hubbard Squash and my Cheyenne Bush pumpkins and so I’ll be taking steps to produce at least one ‘true’ fruit from each, during this season. …. and gently painting the stigma of the female flower with it. 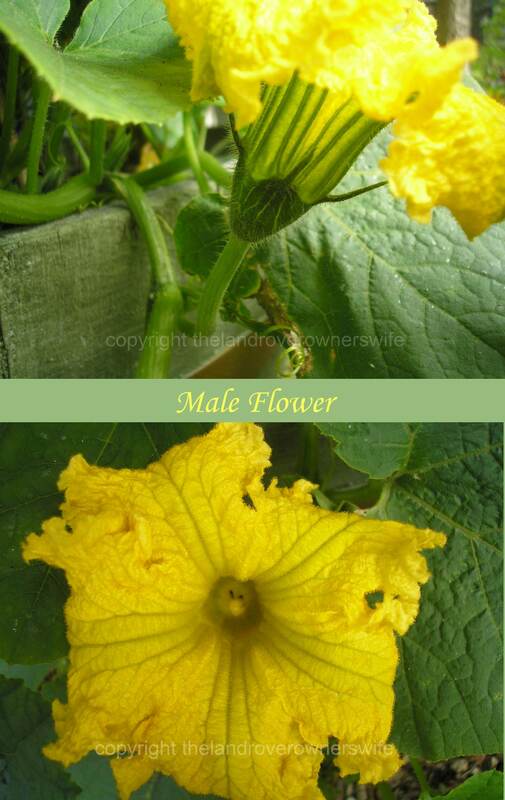 Looking around my garden this morning, there was only this one male flower open on any of my squash plants and so the chances are my female will be pollinated by this flower and the bees were happily buzzing around. However, to try and ensure that pollination did occur, I grabbed my fine paintbrush and removed pollen from the male flower and gently painted the stigma of the female flower with it. 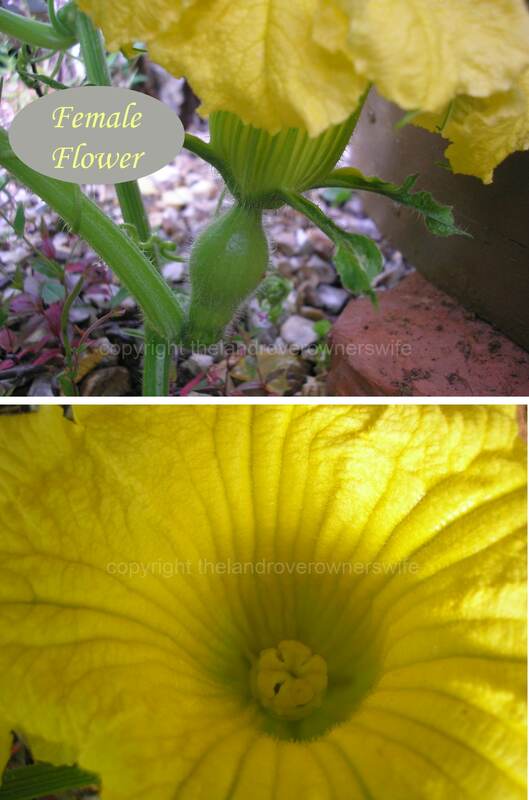 I also did this to a Winter Squash female that is also flowering today. I should know in a day or two if this has been successful, it usually is but a lot depends on the quality of both female flower and the pollen collected. Right now though, I’m a happy bunny and can now start to anticipate more opportunities and look forward, I hope, to an abundance of squash this year. Categories: .... on growing your own | Tags: Food, gardening, grow your own, hand pollination, Squash, vegetable gardening, vegetables | Permalink.